MillerCoors filed a lawsuit Thursday against Anheuser-BuschInBev, claiming that its rival’s Bud Light ad shown during the Super Bowl is false advertising meant to deceive customers and misuses the Miller and Coors trademarks. 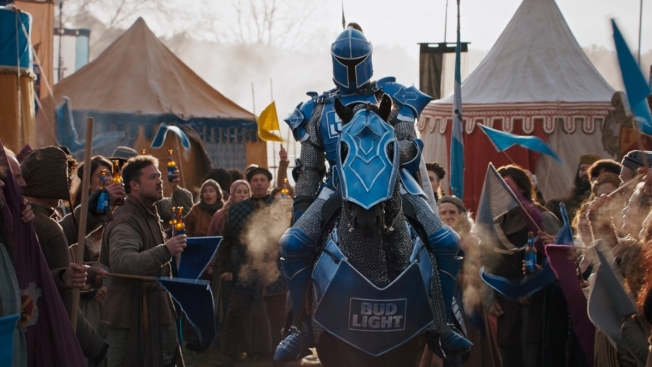 The company is seeking an injunction to stop Bud Light from continuing the ad campaign. MillerCoors is also asking for a trial by jury and for the defendant to pay its legal fees. The St. Louis Post-Dispatch first reported and posted the lawsuit, which was filed in a Wisconsin federal court. The lawsuit is the latest retaliation from the U.S. subsidiary of Molson Coors Brewing for the Bud Light campaign that shamed Miller Lite and Coors Light for using corn syrup. Backlash from both the targeted brewer and corn industry growers followed. After the ad aired, MillerCoors said that none of its final products contain the ingredient, which is used during the brewing process. MillerCoors alleges that its competitor singled out its use of corn syrup because it found, through the use of focus groups, that consumers do not understand the differences between corn syrup and high-fructose corn syrup, an additive that has been linked to obesity. Dietitians have said that the corn syrup is not unhealthy when used during the brewing process. Super Bowl ads: the good, bad and ugly from CNBC. The filing also said that while AB InBev said that the campaign was to increase transparency, it failed to tell consumers that it uses corn syrup in drinks such as Stella Artois Cidre and Busch Light, and even uses high-fructose syrup in others. The 60-second commercial also jeopardized an alliance meant to help the biggest U.S. beer producers. The Wall Street Journal reported that MillerCoors pulled out of a meeting scheduled this month with AB InBev, Heineken and Constellation Brands. The four beer companies had been discussing teaming up for a national ad campaign to revive U.S. beer sales for more than a year before the Super Bowl commercial aired. Several weeks after it pulled out of the meeting, MillerCoors published Nielsen data showing declining Bud Light sales after the Super Bowl on its blog. AB InBev and lawyers for MillerCoors did not immediately respond to a request for comment from CNBC.